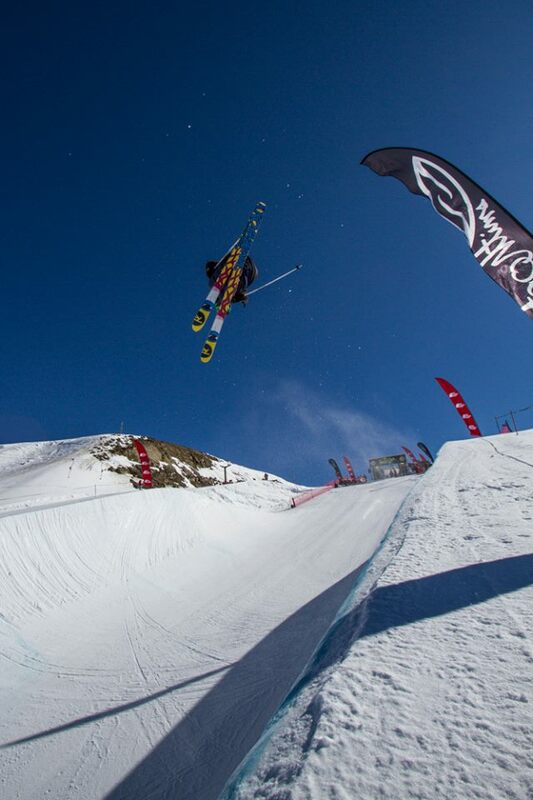 Last weekend I competed in The North Face Freeski Open up at Cardrona . It was a fun comp, way less intense than the Winter Games and the weather was sick. I decided to change up my run for this one, dropping in on the other side, to start on my right 9 and cutting my run down to 5 hits. I scored a 67.75 on my first run and then, sending it way bigger on my second run, I scored a 77.25 to take me through to the finals in 6th! Top 8 went through to meet 6 pre qualified riders. Loads of my friends came to watch and all the riders were rooting for each other which made it a really relaxed event. I unfortunately fell on my first run but then, feeling the pressure at the top, I managed to land my second run to take 13th in the finals! This was my first major finals so I was stoked and a sick way to end my trip to NZ! I was also really happy for my mate Beau Wells who got 2nd and Rowan Cheshire who took third in the girls! Thanks to coach lad Jamie Mathew.